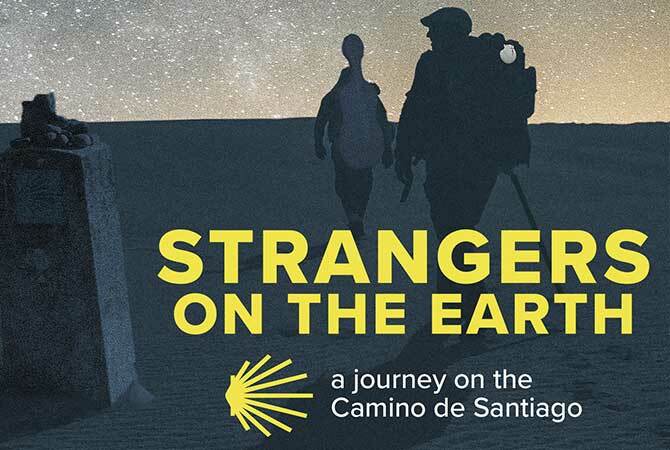 Strangers on the Earth follows the extraordinary and ambitious mission of Cleveland Orchestra cellist Dane Johansen to traverse the storied paths of Europe’s famed pilgrimage trail, the Camino de Santiago. Johansen’s singular quest to walk the 600-mile trail carrying his cello on his back sets him apart from most other pilgrims. 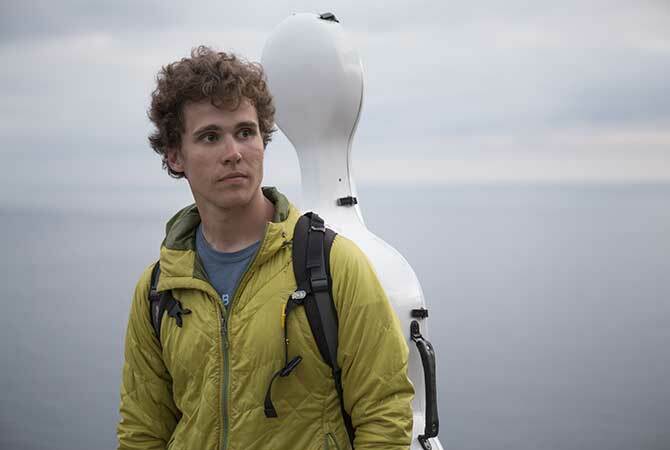 His goal: to perform and record Bach’s Cello Suites in 36 ancient churches along the way. Join Mark Gordon and his special guest cellist Dane Johansen as he talks about his experience an the Camino de Santiago. As has likely occurred on every Camino pilgrimage since the Middle Ages, Dane Johansen encounters a diverse array of characters: lovers whose entire relationship plays out in a matter of a few weeks; self-styled philosophers; wounded souls recovering from illness or mourning the loss of loved ones. All share the trials and tribulations of the journey along with their personal stories over goat-skins of wine. The musician, who foresaw the walk primarily as a recording project, is surprised by the demands that greet him daily as he arrives exhausted at each church only to find it filled with an expectant audience. The recordings of his performances of the Cello Suites provide the film’s contemplative soundtrack. An experiential piece of filmmaking, Strangers on the Earth brings to audiences a musical artist’s personal journey set against a universal backdrop. The film reveals the shared experience of the pilgrims who walk the Camino, finding common patterns in both the multitude of bodies who move westward on the path each year (the physical) and the inner life of these same individuals who are often surrounded by other pilgrims – but are very much alone. “In making the film, I wanted to focus on the universal story of the pilgrim, on the common threads amongst this group of people all moving in the same direction,” says director Tristan Cook.